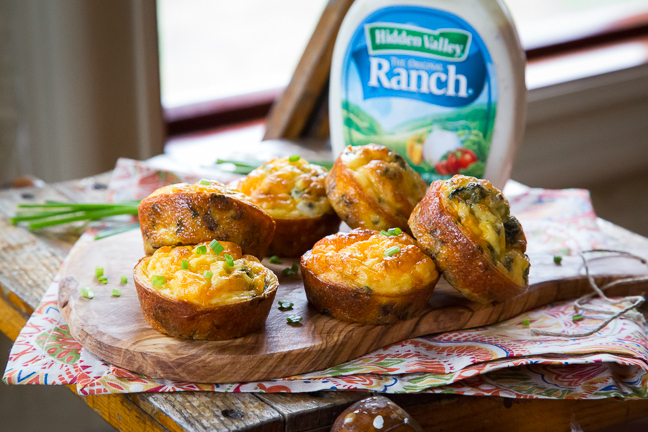 If you’re hosting your pals for a night of gawking at celebs, these Gluten-free mushroom ranch quiche cups made with creamy Hidden Valley® Original Ranch® Dressing and cheddar cheese are the perfect awards show party nibblers! 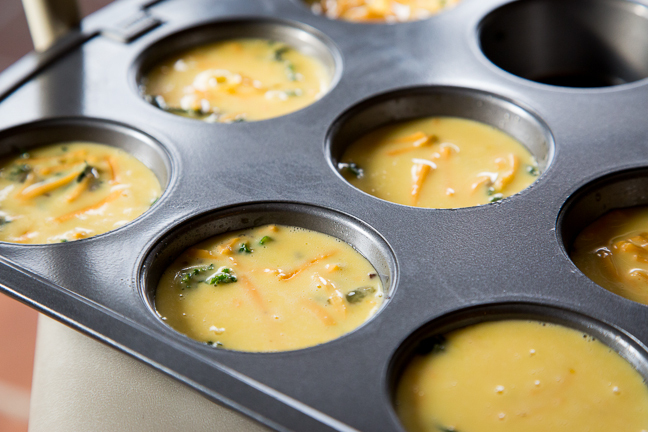 These super simple, yet classy quiches will have you rolling out the red carpet. Step 1: Preheat oven to 375ºF. 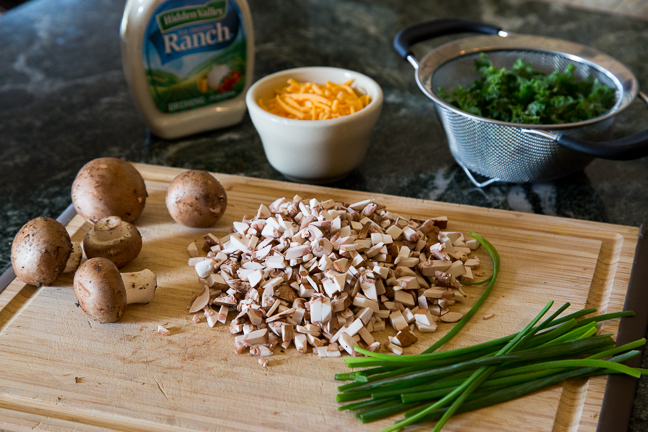 Finely chop mushrooms, roughly chop kale leaves (stems removed), and finely chop chives. Step 2: Heat the olive oil in a large sauté pan over medium heat. Add the mushrooms and cook for about 5 minutes or until soft (stirring occasionally). 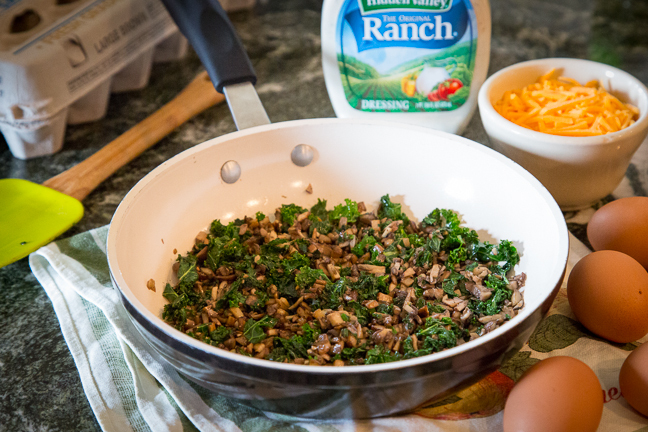 Add the minced garlic, kale, and chives. 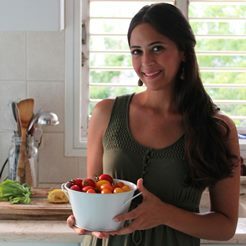 Cook for an additional 3 minutes or until the kale is completely wilted. 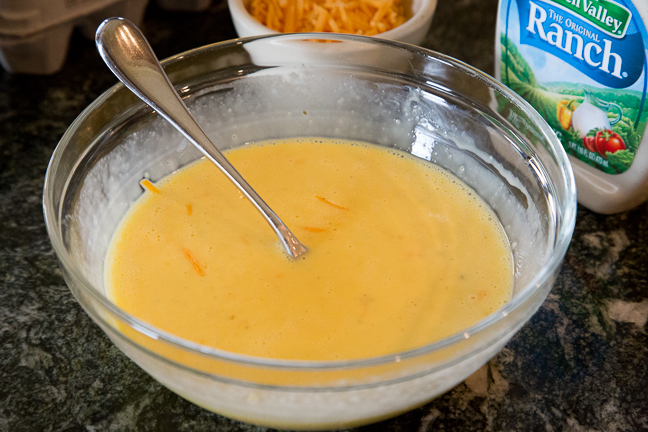 Step 3: In a bowl whisk together the eggs, Hidden Valley® Original Ranch® dressing, cheese, salt, and pepper. 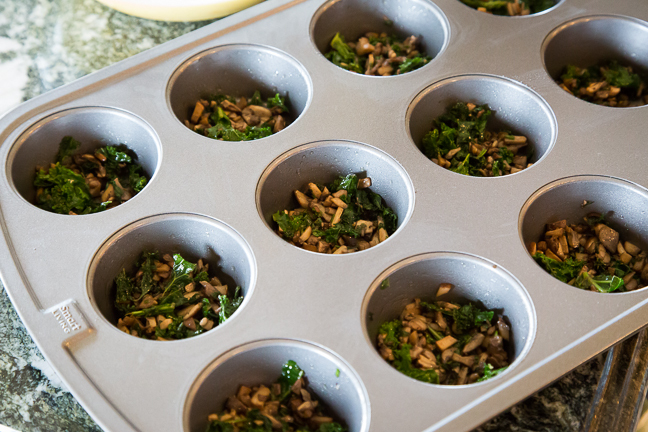 Step 4: Lightly grease your muffin tray and line the cups with mushroom-kale sauté. Step 5: Pour the egg mixture over mushrooms. Distribute evenly. Bake in preheated oven for 20 minutes or until tops are golden brown and the centers have set and reached an internal temperature of 155ºF.